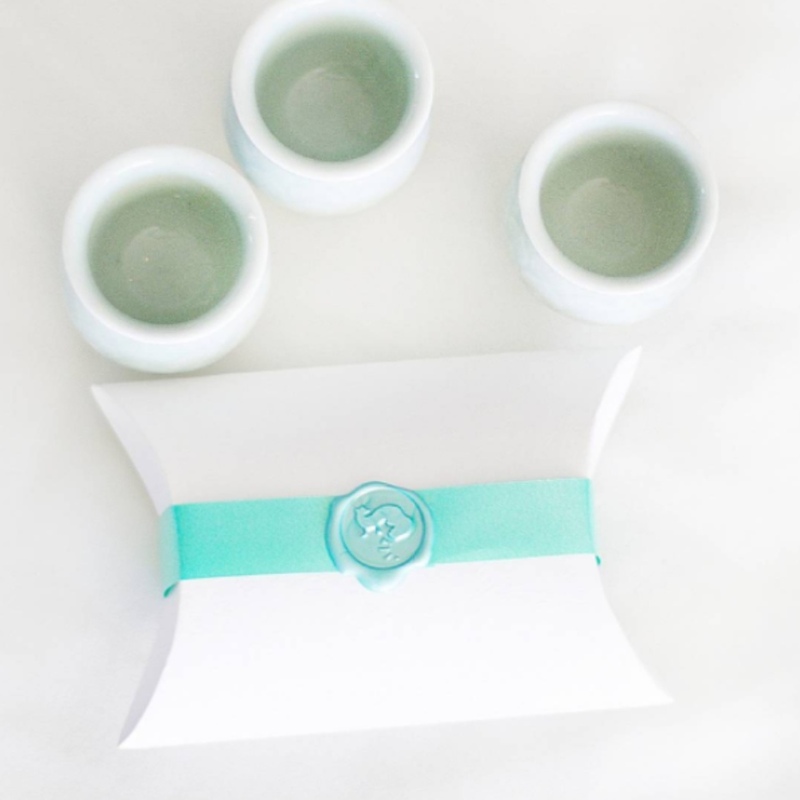 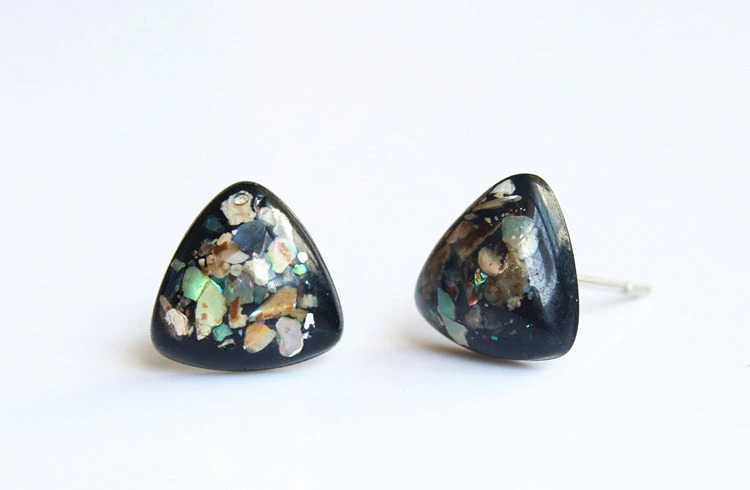 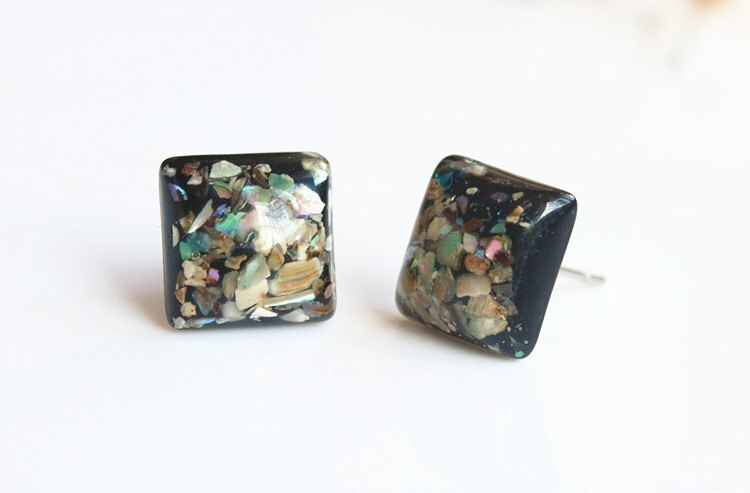 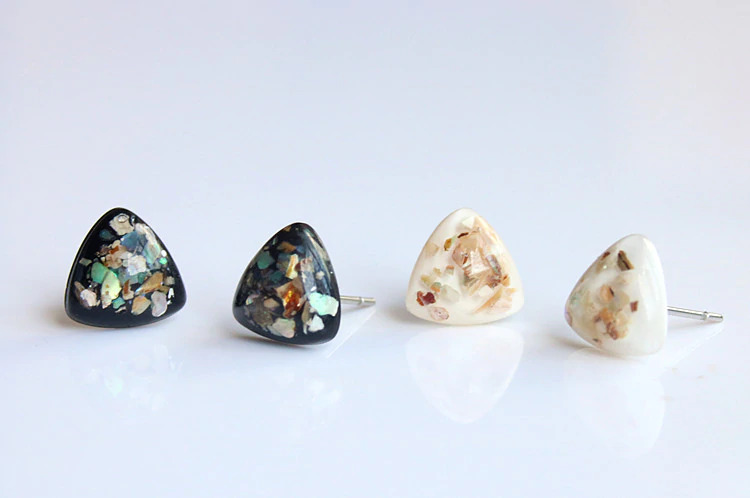 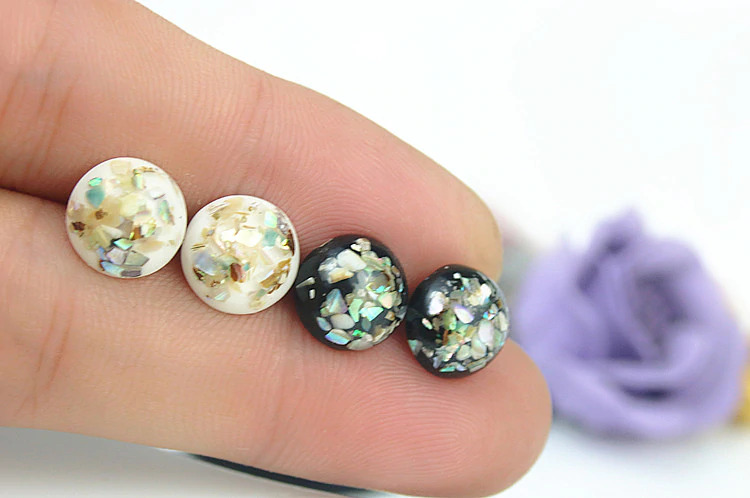 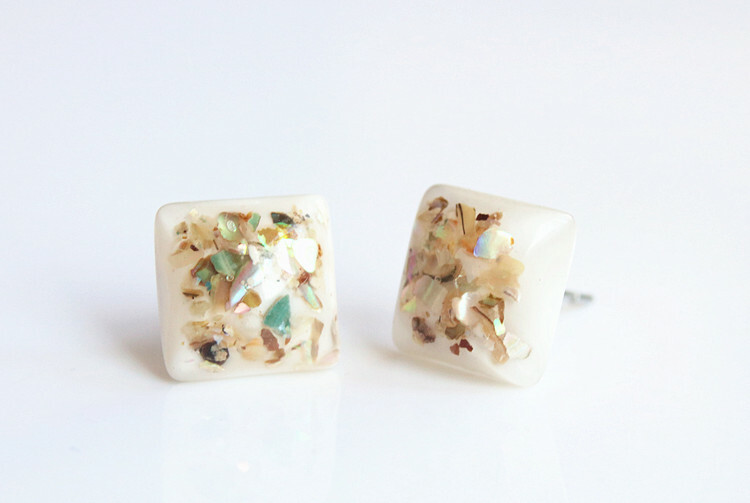 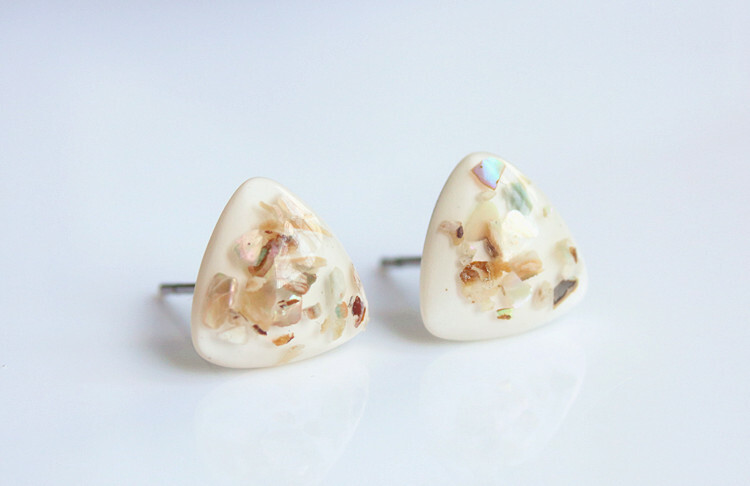 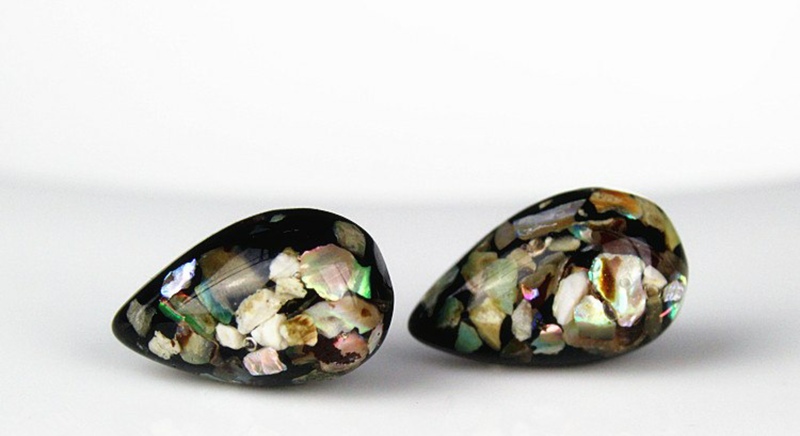 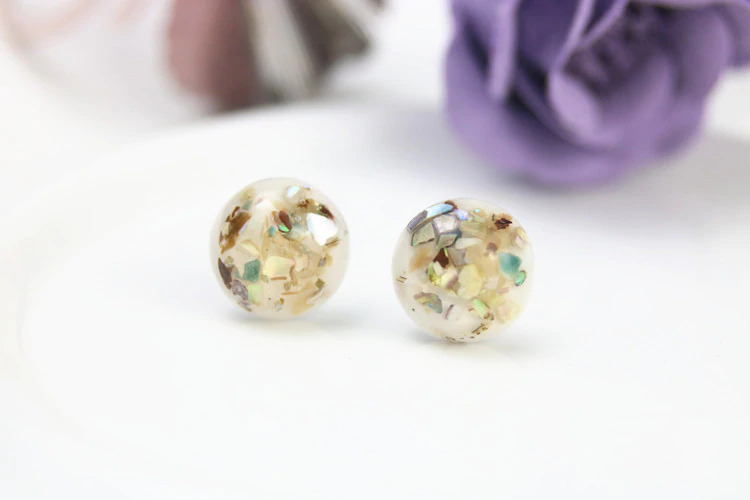 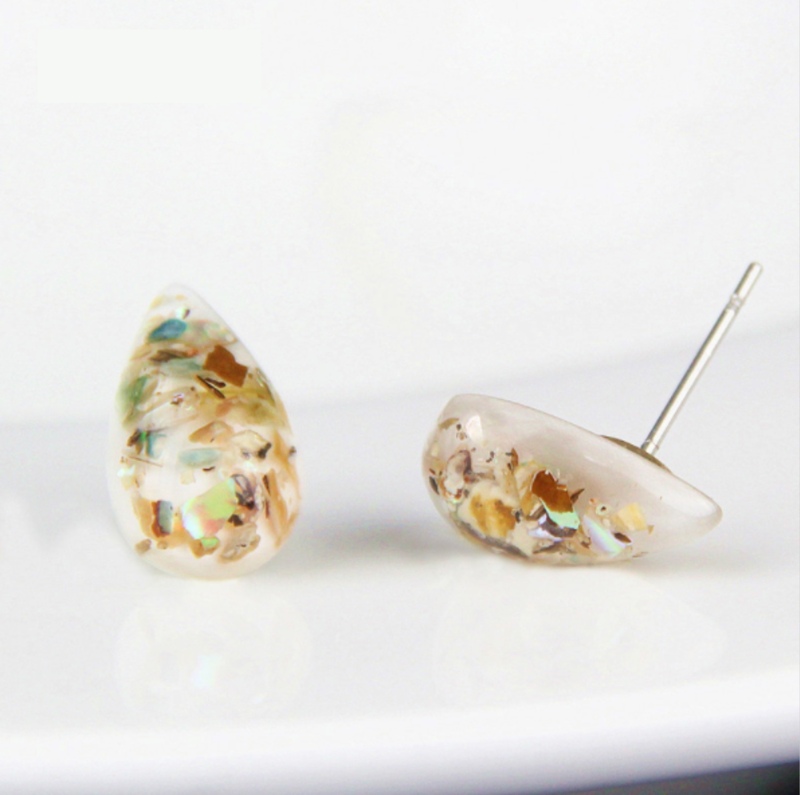 This unique earrings are from one of our past subscription boxes and are composed of resin and real sea shell bits. 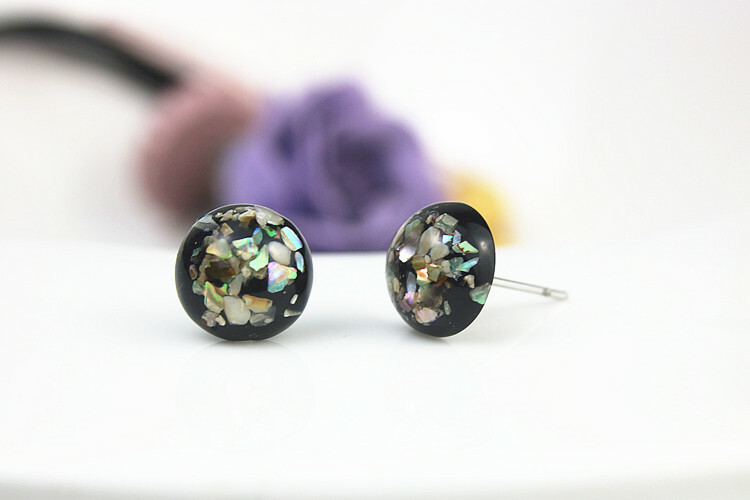 No two earrings, or earrings sets are the same. 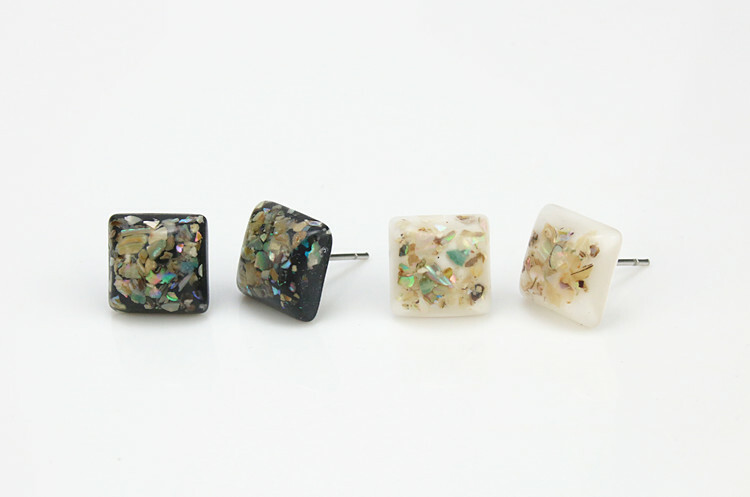 If you are looking for something unique and handmade, with a touch of beachy goodness look no further.